Super Mash is produced by Cheryl Nelson at her new Brogo business, Natural Chicken Health. Super Mash is a monthly chicken treatment to help keep chickens healthy. 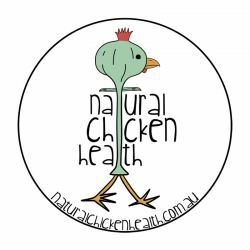 It is a natural antiparasitic also providing nutrients and probiotics to boost and revitalise your chooks in a natural way. They'll love you for it and lay great eggs!